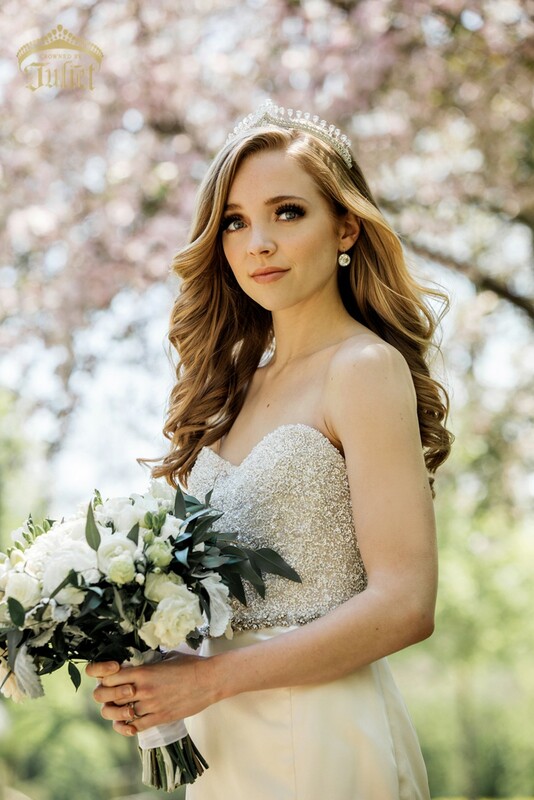 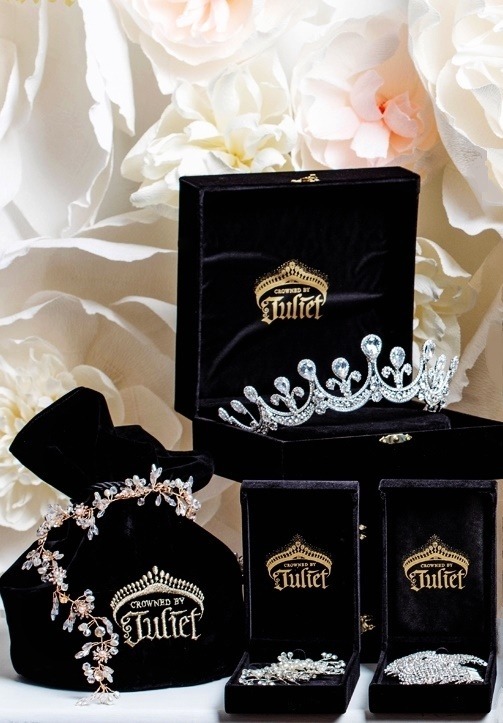 The magic of Shakespeare’s Romeo and Juliet inspired the name of this Renaissance-style simulated diamond tiara, and beckoned us to name it after our favourite romantic figure: Juliet. 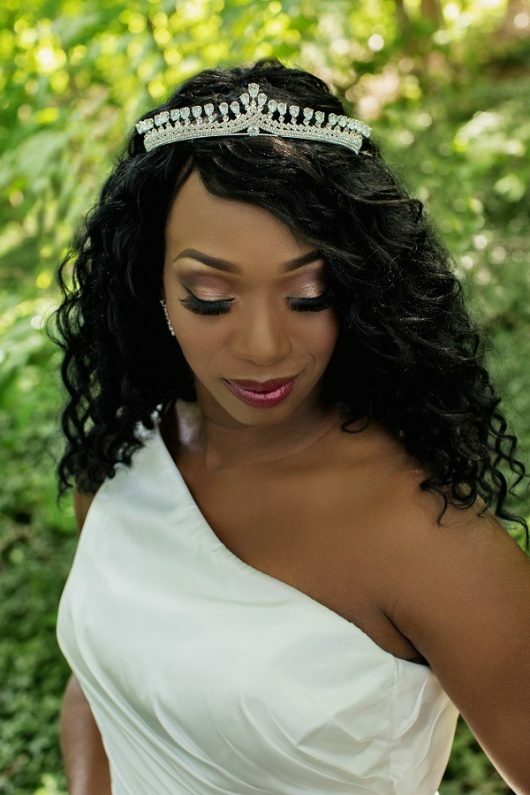 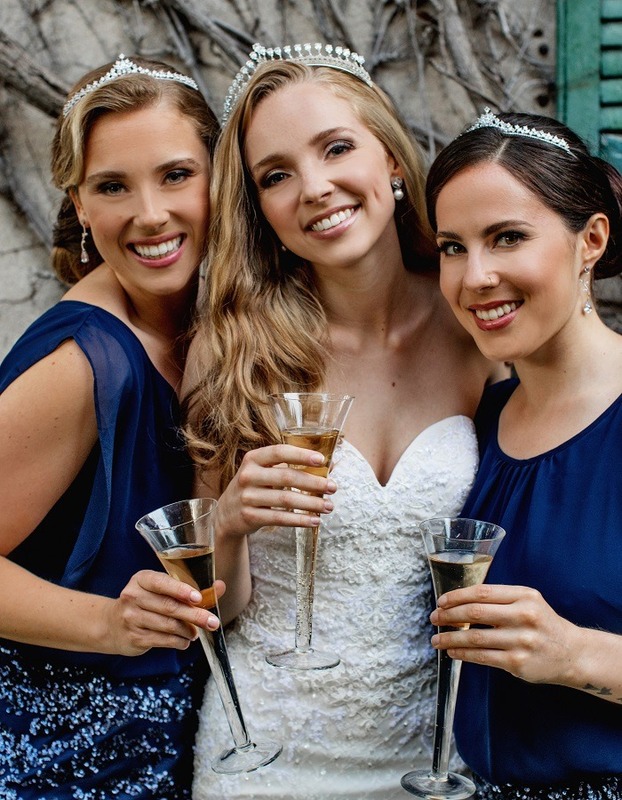 Our bridesmaids are wearing CHANTAL tiaras to complement the bride’s JULIET Tiara. 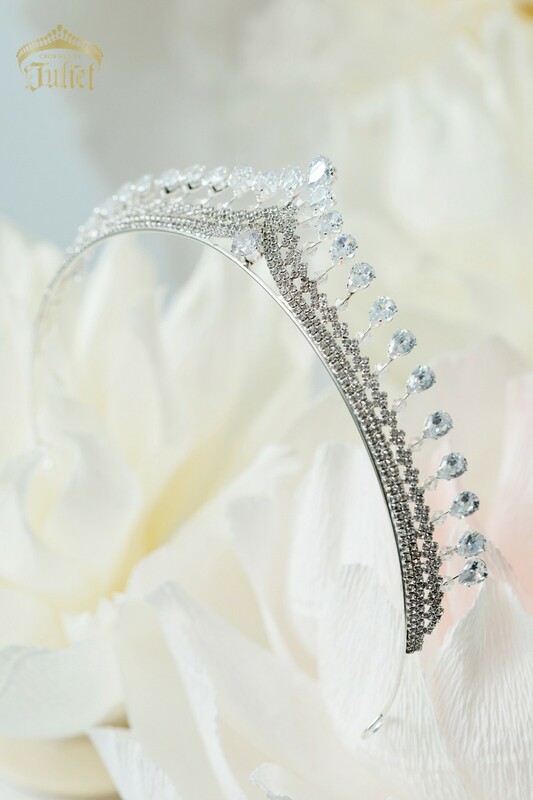 Gallery lines of intricate filigree, inlaid with hundreds of tiny Austrian crystals, support twenty-seven pendeloque-shaped cubic zirconia diamonds and Austrian crystal beads. 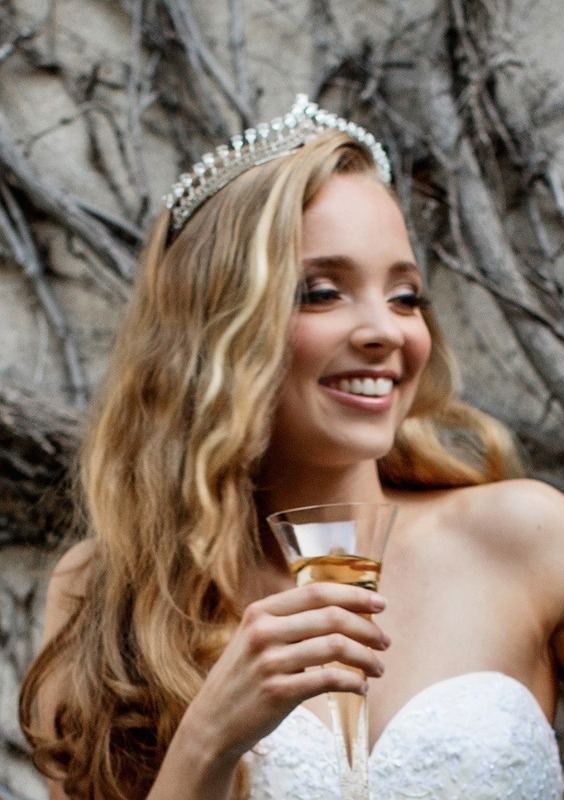 We wanted our namesake to suit almost every style, never losing its elegant cache. 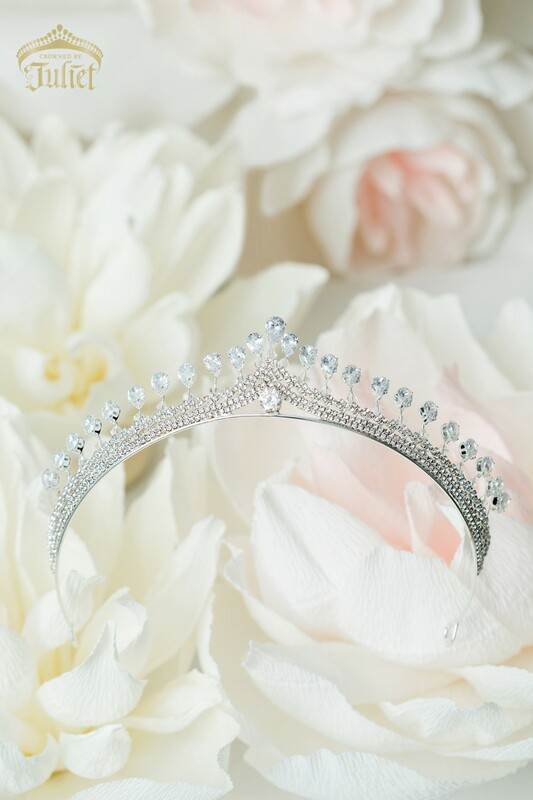 We found that ‘je ne sais quoi’ in this delicate and lovely heirloom JULIET Tiara. 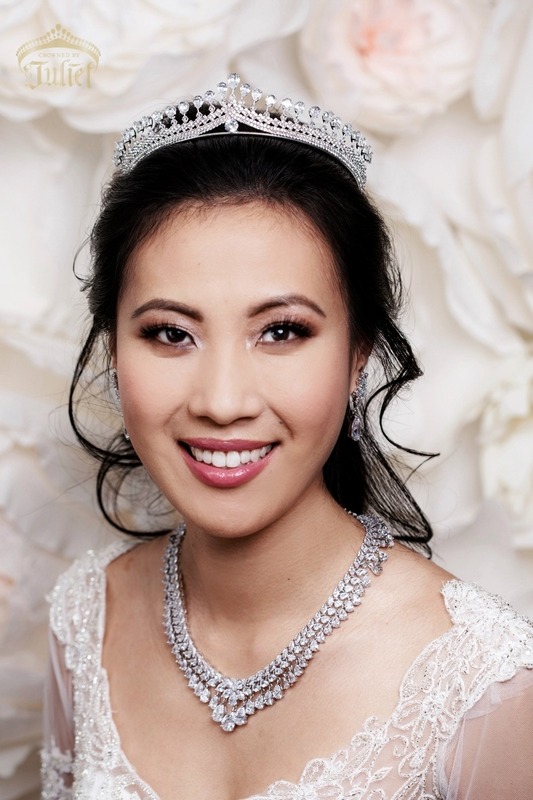 Our RENAISSANCE Necklace Set mirrors the lines of this tiara and complements it perfectly. Weight: 39 grams / 1.4 oz.